These are all fantastic exercises that provide an enormous amount gains for your body - but the trap bar deadlift could be the daddy of them all. Andy Vincent, elite PT at Third Space, Soho provided JOE with a breakdown of what you can get out of the lift. "A trap bar deadlift allows for more knee flexion. Ordinarily, there is a barbell against the shin in a deadlift which stops the knees coming forward excessively. "This often forces you to sit back further to pick up the bar. A trap bar doesn’t have a bar in front of the shins, so you are able to find a position more suited to your own body. So if you’re tall, have long femurs (thigh bone), poor hip mobility or lower back pain, you can usually find a posture that’s comfortable to lift with." How do you perform the trap bar deadlift? Inhale though your nose and brace hard. How should the trap bar deadlift feature in your programme? "The deadlift is pretty much always the primary lift. That means it’s done first, maybe second. I’m not a big fan of high volume deadlifting, so I’d never program more than 6-8 reps for this lift. "Treat it as a movement pattern and don't think too much about muscle groups. The deadlift would fit into a pulling session where you group your “pulls” together (back and rear delt exercises) or you could program it for a full body session and build some accessory work around the deadlift." Is it more beneficial than conventional and sumo deadlifts? "It’s not necessarily more beneficial, however it’s easier to find a more comfortable movement pattern, so you are less likely to do something that could hurt you. "It’s natural to stand taller using the trap bar and this will place less stress on the lower back muscles. It gets used as a hybrid lift somewhere between the classic deadlift and a squat, which makes it a nice place to get strong safely. 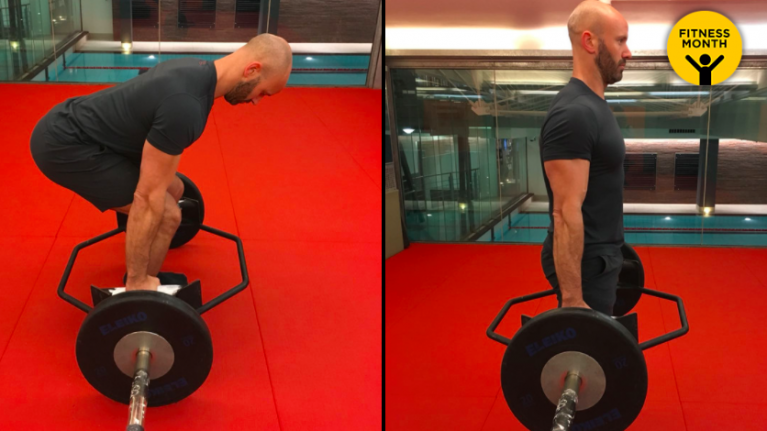 "If I’m programming a client to deadlift in their own session without supervision I will pretty much always start with the trap bar variation." Two kinds of people should stick to the normal deadlift: powerlifters, who are judged on it - and athletes who are tested on their deadlift performance. If you don't fall into these categories, however, there's no reason why you shouldn't include some trap bar work in your routine.